I've collected my thoughts and experiences of the voiles here for you that includes my mindset in developing the collection and my experience with sewing and living with them- I hope you find this helpful! While I know that other designers at Westminster will be using this substrate in the future (Kaffe and Valori that I know of so far), I am choosing to call this my voile. Not because I am territorial, but because I kept FedEx in business by shipping back and forth every voile sample overseas that I could and feeling, rubbing, blowing my breath through (its weird but I do this with fabric- its tests how "breathable" it is for me), hanging it up, pondering and ultimately deciding which voile I was going to print my artwork on. Some were just slightly too papery, some slightly too slick, and others definitely too sheer. I was literally asked why I printed voile over and over again at Quilt Market, and it sort of surprised me. Usually this could be answered without a word but just a feel of the fabrics. Realizing though that I was presenting these goods to mostly quilt shop owners who have had one single substrate in various qualities given to them for a few decades, I answered like this: I love quilting cotton, I really, really do. But I don't necessarily really want to wear it all that much. I very often just think it does not work for a lot of clothing patterns that I want to sew for myself. Nor do I really want to sleep under it and roll around with it against my face as I sleep. There is a certain chunkiness to the standard quilting cotton once washed that just doesn't suit my taste for every project. It was time to start being honest with myself and I had the feeling that I was not the only one who felt this way. Not everyone will agree with me. I am not out to convert anyone, but to offer beautiful options that make me happy. But another thing. For an enormous group of creative, resourceful and brilliant quilters, whether tradition loving or modern, how could an industry which was built upon making art of any and every available scrap of cloth come to rely upon only one variety of fabric from which to create its' art form? I find that the most gorgeous examples of early quilt making are a result of not just the combination of fabrics and patterns but also textures. So to answer the other popular question - Can you quilt with voile? - the answer is OF COURSE! Not only can you quilt with it, but you will be so glad that you did! The softness and livability of this fabric is unparalleled. Should I remind you that I love our standard quilting cotton? I do, I really do. But. Those of your that live in warmer climates, a quilt from voile doesn't have to be left at the bottom edge of the bed all the time to avoid burning up. Simply making a hand tied, patchwork coverlet with an added layer of muslin or an extremely lightweight batting inside is a gorgeous and supple bedding alternative. Ashley at Film in the Fridge has made some gorgeous quilts from Little Folks that are making me jealous for quilting time. The voiles also present a perfect opportunity to do foundation blocks, such as with a string quilt, because you have that extra layer added into your sewing for stability, but all the seams don't prevent the quilt from moving freely around like it might with heavier fabrics. I settled on what I felt was the very best option for a fabric that would be used for clothing, quilting, craft, and other home goods. 100% cotton, the texture of this fabric is as soft as it could possibly be without it being slippery. The word butter is used a lot after people feel it for the first time. As most voiles go, I would say that mine are less sheer that what many who know voile, would consider typical. The sheerness factor in my collection is directly related to the color factor. The lighter color the fabric the more sheer the appearance. I wear clothing from the darker printed shades without a lining or camisole unless its a skirt or dress, because you can definitely see light through them. So in many ways the fabric is similar to cotton lawn, but not quite as crisp or papery as most lawns that I am familiar with. And because this fabric is 100% cotton, it can be washed just exactly like your other cottons. I daresay the voile seems less affected by the first pre-washing than do the quilting cottons. These are higher thread count fabrics that are very tightly woven so I notice less fraying as well when I wash. I get asked a lot about pre-washing because folks feel for some reason that they will fray more because they are lighter weight- not so. Regarding shrinkage, I experimented by cutting two fat quarters exactly the same size and washed (cold water, gentle) and dried (delicate cycle) only one of them. The difference is shown above. As you can see the color and texture look almost completely unchanged, the fraying minimal, the shrinkage is almost none on the lengthwise, but it did shrink about 3/4" on the width. This is good to keep in mind as you sew. As with any higher thread count, tightly woven materials, I would switch to a smaller needle like a 9 or an 11 at the largest. This does of course also depend on what you are sewing the voile to. If you are combining other substrates use your best judgement. A larger needle will not hurt the fabrics but the goal is always to make the smallest hole possible as you sew without breaking tons of needles. Your ironing should typically be on the same setting as with your quilting cottons, but I have found it easier to smooth wash wrinkles (which are minimal to begin with) than with the other cottons. Another frequent question that I get is with regards to the durability of this fabric. While I haven't been able to sample and test it over a very long period of time, the clothing, quilts that we have made and washed frequently in this family have held up beautifully. 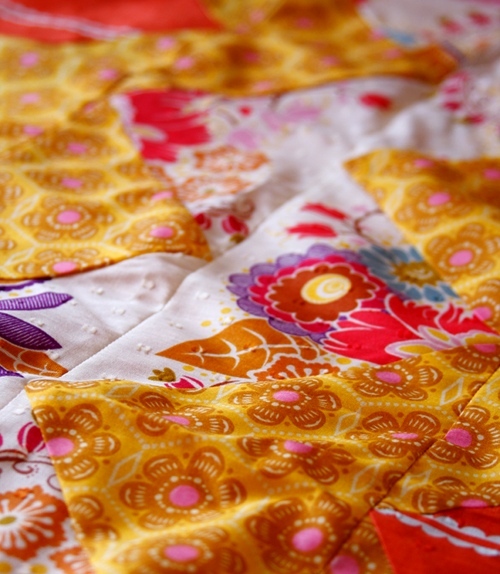 Is the life of the fabric as long as the life of the quilting cotton? I don't know. But we don't tend to drag our quilts and clothes around on the cement and over rocks so it depends on what you do with your sewn items always. I would say that if I were going to make an outdoor-use picnic blanket I wouldn't use the voiles, I would go for our heavier substrates. 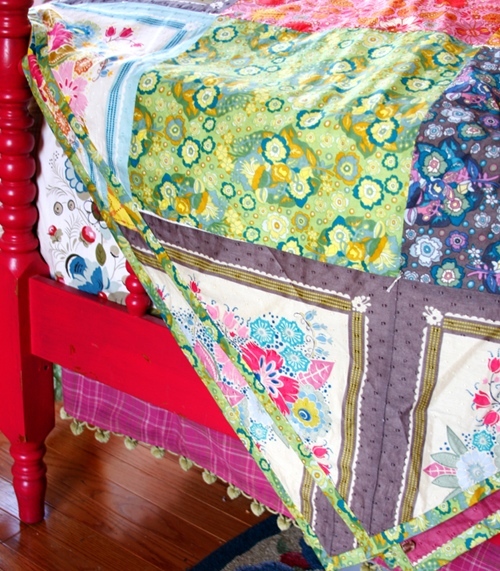 But there are some things that you can do with this fabric that you simply can't (as easily at least) with quilting cotton, such as the tightly tucked, gathered and sculpted flowers above. Happy. Happy. -One yard of quilting cotton is 36" x 44" and the suggested retail is $9.50 which is 6 cents per square inch of fabric. 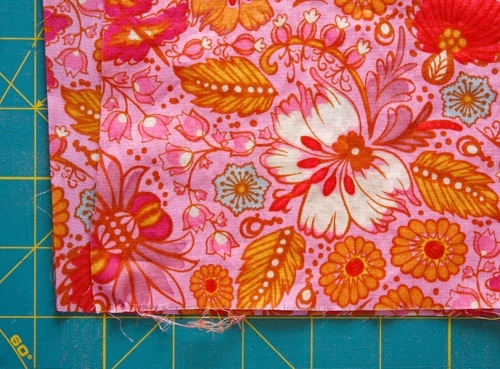 -One yard of cotton voile is 36" x 55" and the suggested retail is $15.00 which is 7.5 cents per square inch of fabric. Looking at it this way just exemplifies that comparing the price per yard alone doesn't factor in how much more fabric you are getting per yard. I hope this has been helpful. I've been meaning to do this forever, but have also benefited by having my own sewn voiles around the house for awhile to be able to offer you the best insight that I can. If you have further questions or comments, please feel free to leave them here or over at the Little Folks Flickr group. Thank you so much for this! You just answered all the questions I had about your voile, and voile in general. I love how you always seem to take the time to thoroughly introduce us to your fabrics. Hands down, this gorgeous voile is the best ever! I can't wait to make a springtime dress and a tunic, Anna! Love your new patterns, and the ones to come! 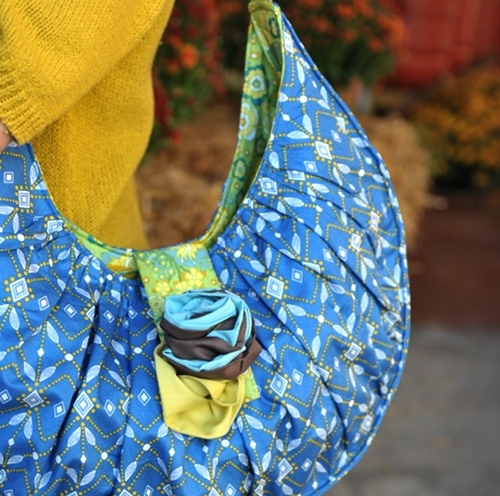 The new sidewalk purse is TDF, and the Roundabout Dress....waiting like little piggies! God bless you for going full volt for the voile...there's lots of pretty quilting fabrics at the local Vogue Fabrics...not enough body for my dressmaking taste! ouh... the new patterns look lov-ah-ly! looking forward to seeing all the pretty new treasures you're cooking up for us. I love this post. I like hearing your shop-talk voice, which is actually really different from your fun, bloggy voice and, I must say, authority just oozes from you. Now I see how you control all those children. I am kicking myself daily-- I went with another voile-- a very pretty pattern, but not the quality of yours, due to costs for my latest collection of clothing. I ended up having to buy another, very sheer backer voile b/c I just couldn't sell it, even for children's wear, without a lining. Which ended up costing me 1/3 more than your voile's would have been. Lesson learned-- I know you pick quality fabric, and I can trust it sight unseen. My biggest problem is that I cannot CANNOT cut the yardage I bought for my personal use. I'm such a dork and I get out the big sheets of it and just look at it. Would it be silly to frame it? Because I want to. They really are some of the loveliest fabrics I've ever seen, and put Liberty cottons to shame. Also, I WANT THAT BAG PATTERN!!!!!!!! I was over the moon when I first laid my hands on your beautiful voiles. The little girls' dresses I have made have sold rapidly on my Etsy shop and at our local designers' markets. It's a joy to work with and looks stunning when made up. Thank you for bringing such top quality fabric into our lives! I am waiting on the first of many shipments I think I will get of you voiles. Friends of mine have already made things from you line and the feel of them is WONDERFUL. Your research paid off. You are absolutely right that quilting cottons lovely as they are don't give the drape that we want all the time. 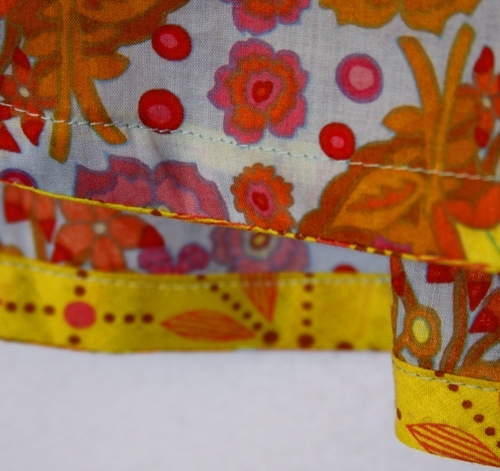 Thanks for reintroducing us to this lovely fabric in your lovely patterns. I just love the voiles they are absoulutely stunning. I just love all your fabric in general. Thank you for this information. I'll have to look for your voiles. I love the new dress pattern as well. Thanks for all you do. You are an inspiring creative spirit. WOW! This was great info on Voile fabric. I just Love your new line and was contemplating whether to buy it for my hair accessories. Wasn't sure about the weight...but I'm excited to try it out! THANK YOU!! I'm a beginner and don't know much about fabrics. Which of your collections are voile? That will help me know what it feels like! :) Thanks! The Little Folks collection are voiles: link. Thank-You for this informative post. My local fabric shop just got some of your voiles in and I can't wait to get some! If a word is french, then you can't very well say it English now can you? Or how about when people say 'muslam' instead of 'muslin'? HA! Stopping by your blog always makes me feel happy. great post, Anna. I've been all over my local store about why they didn't get any ("quilters can't use this"... oy vey). I'll send them this post. BTW, I finally finished up the top of the really wonky quilt I made using your fabrics. And now I'm busy hoarding the voile I got. oh, and that dress pattern... fabulous! Thank you so much for the explanations! I was curious about why you chose voile (though not why you chose THIS voile - it is incredibly luscious!) and how it compares to the "standard" quilter's cotton in various uses. Thanks, that was really informative. Obviously you've been getting lots of questions...I was thinking that for all the generosity and goodwill of quilters, isn't it strange that people freak all out when a designer wants to branch out and try something COOL, NEW and INTERESTING with HER designs, just because she can, and just because she wants to. Hopefully they'll all be reading this (although you most certainly don't have to justify your choices, it is nice to know what informed them from your very well-researched designer point of view). And, you are absolutely right about vintage quilts - they are made up of many textures, weights and weaves and that's what makes them amazing. I am just like the previous post, I just keep admiring my set! And this post makes me still, oh so excited about your next book (especially after the sweet peek of that lampshade!). 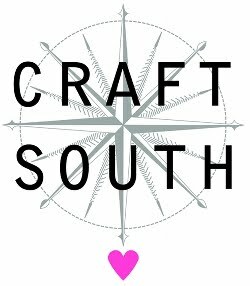 I LOVE knowing about sewing, knowing about you and your blog, and being able to make things with all the pretty inspiration you bring us!!! Thanks! 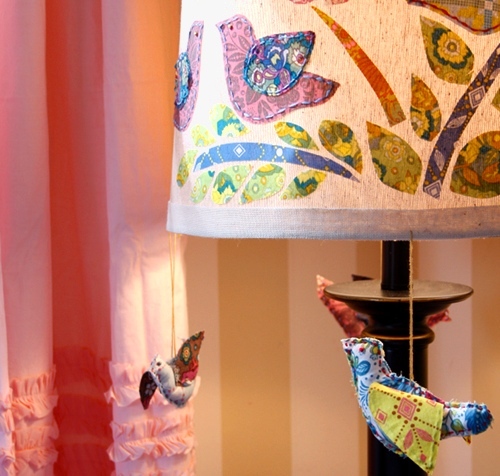 Wow, I can't WAIT to see your new book...even more now that I've seen that awesome lampshade project. Squeee! Voile has always been a favorite fabric. Your post refreshes my memory about why this has always been so. It's so much fun to feel a connection across the web to a kindred spirit. I do look forward to seeing more of your posts. THANK YOU for the breakout into this fantastic format. Absolutely adore the feel of these fabrics and utterly appreciate how suited to garment construction they are. I feel like I have a more lovely and cheaper version of Liberty of London Lawn. I want yards and yards of the stuff....thankfully my mama bought me six for my birthday. That is a start. I can't wait for the Roundabout Dress to become available. I want to make that in one of your voiles. It will be so pretty and fresh for the warmer weather. You crack me up! Several lines in this post had me laughing out loud, which I always enjoy in a blog post! Anyway... fabulous info, and great new patterns. I will definitely be trying them out, because, well... you already know how much I love the Little Folks line!! (it's about time for me to buy some more!) Thanks so much for linking!! I think there are many of us who would love to see more collections in lighter weight, more clothing-like fabrics. Good call. Thanks for taking the time to do this for us. Thank you so much for the information! I've been a little intimidated by the voile, but you've set my mind at ease. Now, I need to get my hands on some! On three separate occassions at the fabric shop I have managed to come home with more of the voile - unplanned each time, by the way. I love it, have come up with perfect "mama only" garment projects for each purchase and having this info here is so perfect. I never would have given a thought to the needle size - showing my sewing rookie status. And, oh do I love that new dress/slip pattern. Love it! Just received my voiles and patterns today, I can not wait... But I think I need to look at them a little longer before I can make the first cut. *sigh* They DO feel like butter! Just divine! Thank you for this gentle push in a beautiful new direction! Thanks for the tips on voile. I loved it at first sight (and touch!) and couldn't get to the cutting counter fast enough but when I got it home I couldn't figure out if it was too delicate to quilt with. I finally used it on a scarf and I love it ! I LOVE LOVE LOVE the voile!!!! i am so happy to hear that more designers are coming out with fabric lines out of this fabric! Like you, i don't love quilting cotton to sew clothes with, but the voile is wonderful! i find the cost about the same because the width is 55". Anyway, just wanted to say thanks, so that you know us sewers out here appreciate you doing something different. Thank you for this! I have been wondering about all of these things. Now that you have answered my questions I can make some dresses for my girls! I must say, I love this fabric. I had this awesome blouse that I bought at an imports shop years ago and I wore it ragged, and I have been trying for years to find a fabric similar to the one that blouse was made out of, and your voile is it. Thanks you so much. 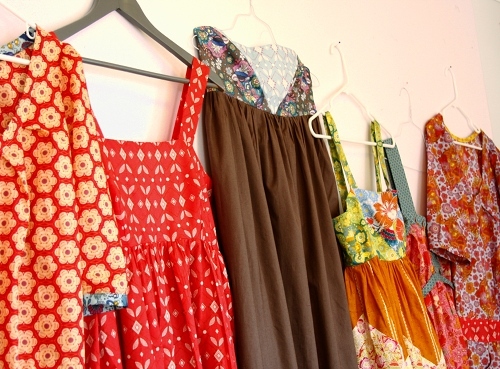 I want to make a whole wardrobe out of this stuff (I"m starting with just a blouse and maybe a skirt, and a dress for my new little one for the summer). It is so soft and drapeable. Thank you so much for all your work in finding it, Anna Maria. Thanks so much for this information! When I was young I had a FAVORITE quilt made by my mom with such soft fabric and now I can make one for my girls!! I LOVE the shirt I made with this voile to sell on my Etsy shop and plan to make many more! Oh my! These are fantastic! I have never been brave enough to quilt voile, but you make it sound so simple. I'm thrilled, I have a STACK of voile bunting that I made to decorate our wedding venue. I had always hoped to turn it into a quilt but was never quite brave enough. I think this post may just give me the nudge I need to just jolly well get on with it! Plus I NEED to hunt out some of your voile to have a play with. Are they available in the UK? Thank so much! I willing be washing, drying, and cutting a sweet girls' first Easter dress this weekend. And dreaming of a lightweight voile quilt for that same little one's crib maybe....voile on the front, sweet flannel on the back. Thank you for the info about voile. Funny, i got so excited about voile when i saw your receiving blankets that I ran to the fabric store to ask if they had any cotton voile. Bless her little heart, she took me straight to the toiles. nothing. nothing in the whole of that cute little chain fabric store that could be labeled a voile in my mind, and now that you have educated me a little, I think i was right. This is a very interesting and informative post. That you so much for taking the time to do this. I appreciate the care and planning you put into making sure the product is useful for its intended purpose and is of good quality. I can't wait to try your voiles! I might just have to drive over the mountain to thank you in person! I agree with you that quilting cottons are too stiff .........most are downright yucky. I am on a new quest to make my entire wardrobe of voile, lawn, batiste and linen. I loved reading this post about the voile! As a want-to-be dressmaker, I love natural fiber fabrics, but mainstream cotton leaves so much to be desired! I myself have done countless swatch searches for various projects and it is so hard to find alternates to the normal quilting weight cotton. I love voile and am so inspired to finally get my hands on some of yours! Excellent! I've always felt the same way about quilting cotton. It's great for quilts, for clothes, especially blouses and shorts, it's too heavy. Love the new patterns and voile! Please...please...pretty please make kits for the new dresses with voile. How lovely for spring and summer. Thanks for all the info! I've been wondering about your voile, since I've only seen it online. I've really been wishing for some better options for clothes, so thanks for that too! I'm excited to try it out! Especially for something summery for my 2-year-old daughter!! Thank you very much for printing on voile! I have been wanting some better options for garment making as well and this voile is fabulous. You made a terrific choice. All the touch and blowing and other testing was well worth it! Thanks for the information on sewing with voile too. I am about to prewash and start a skirt for myself! I love your voile! Just the feel makes me smile. Can't say enough! I, too, just like to look at it and have not been brave enough to put the scissors to it yet ... too many ideas swimming around to choose. Thank you! Thanks, Anna! I just bought some of your voile for my daughter's bed quilt and I was delighted by the wonderful hand. I sell designer clothing made in silk voile, and your cotton voile is just as soft. It is much softer and more luxurious than the Heather Ross Far Far Away collection too. I didn't even realize that your voile is 55" wide. Looking forward to creating with it! I am so in love with Little Folks. I mean it, completely. in. love. So far, I've only had time to make DD one dress, but I think I must stand at my fabric shelf everyday to admire and dream of what all I'll make from it in the coming months. And the completed dress (Forest Hills in Sea with Lilac Garden Path), I've gotten more compliments on it than anything I've ever made. Thank you!! Thanks for this post...so amazingly helpful. I'm still a beginner at fabric selection and this explains so much! Loads of great information! I can't wait to get my hands on this fabric and make something for me to wear. I have to agree about the "softness" of quilting cotton for wearable things. This is just going to work fabulous for clothing! One thing I truly enjoy about the voile is that it allows just enough sunlight to come through to provide warmth and light to the room, but definitely blocks the blinding rays. Also, the print I used is Little Folks Forest Hills in yellow (citrus? ), and the glow it casts in our living room is ... breathtaking. No matter what time of day I'm in there, there's a beautiful cast to the room that's ... warm, inviting, just a delight to my soul. And, of course, I could stare at the print for hours (and I do) traveling the trail with deer, wood, and houses. I adore it. AND, I was wondering what I was going to do with the extra yardage. I didn't know I could make a quilt with it. I have plenty of muslin, so if I pick up a little more of your voile in a different print (or two :-), I can make a bed quilt! Which is awesome possum since we live in a warmer climate. Thanks so much for doing this Anna! It answers all the questions I had about voile and I now feel comfortable going out and purchasing some! From my heart, Merci Anna! Thank you for departing from the standard (limited) choices in printed 100% cotton fabrics. It's high time the qualities of antique fabrics were reintroduced. I've sewn skirts and dresses for myself with quilting cotton only to have them scream homemade. I heart homemade but when I run into someone I'd so rather hear, "I love your dress!" as opposed to "Did you make that?" My ridiculous tendency to touch fabrics can't wait to experience the buttery feel. 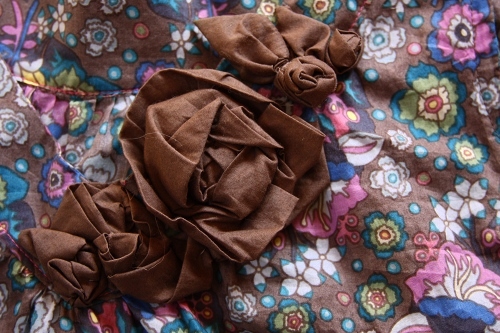 And the lovely rosettes demonstrate your fabric will lay beautifully. I'm off to fill an online shopping cart! I just received some of your voile yardage (very hard to find- it is selling like hotcakes!) and I must say- it is beyond lovely! I am a fabric snob so that means something coming from me! I am with you- I love the prints on quilting weight cotton, but not so much for sewing apparel. Thank you so much for this post. It answered all my questions about voile and was very informative i general. I love to learn more about different types of fabric that I don't know about. I promptly went to an online shop and ordered a bunch of your voiles and dobby dots! I want to try to make the blue knee length dress you have pictured in your last post but I must say I am quite intimidated at the thought of linings and zippers. I'm going to give it a try though. If nothing else I can just turn it into a quilt! I love all of your fabrics so much and find myself going to my stack of them over and over again. Can't wait for more from you! I just want to say I love it and I wish I could buy your whole collection! I can't wait to make some things out of what I've bought already! uhm. All I can think is, "how did I live without this for so long?" I just noticed something in the first pic in this post...I love that all the hangers that the clothes are hanging on are mis-matched/plastic. Very normal. I like that, as opposed to perfect matching boutique-style hangers. It adds the real-life-this-is-a-family-of-eight aspect to the pic. Thanks for being real. You may not do that for a professional photo shoot, but it's nice to see in a blog entry at any rate. Sorry for my rambles. I am also very happy that you have come out w/ the voiles. I have some on their way to me now. I agree about not wanting to wear alot of quilting cotton. It's stiff for clothing. I use it for my children, but not very often for myself. I am looking forward to working w/ the voile for some things (including the Empire Evening Dress pattern I just bought!). Thank you for your hard work in designing fabric lines that work in real-life. I have never worked with voile, so this post was super helpful to me! I love the variety of projects you used as examples. Now I definitely want to get more, since I just have a couple fat quarters. Anna -- I totally appreciate that you have dress-weight fabric with your beautiful patterns -- EXACTLY what I've been wanting!!! Quilt shops are de rigueur these days and dressmaker fabrics in the cookie cutter stores like JoAnns and Hancock are poor quality. Thank you for putting something out there that we can WEAR!!!!! And colorful and pretty, too!!! Love, love, LOVE the Roundabout Dress -- can't wait to try that one! And thank you for the meaty info, too -- fuels my fabric passion! Happy, happy! Thank you so much!! You answered every question I have ever had about voile, but had never asked! Thank you so much! What wonderful information, I love getting your perspective on the fabric, and as a new sew-er it was such a help. I always thought of voile as being too thin and delicate for practical things like clothes and quilts, but you described exactly what I have been looking for in a fabric. I was delighted to see you were offering the voile. I am not a quilter. I tried quilting and I didn't really enjoy it. However, I have purchased a lot of quilting fabric from which to make clothing patterns and I agree with you that many clothing patterns I'd like to make do not work with quilting weight cotton. As exciting as many of the new prints have been, I've stopped buying because it wasn't working out for clothes, so the voile is perfect for me. Thank you! Thank you for all the information about this fabric! I am an artist that, at times, dabbles in sewing. Your book and the information you provide always help me along the way! Thanks for all the info and you don't have to worry about converting me! On my way home from Seattle over Xmas, I swung into my fav shop. As I was having fabric cut, I was flirting with a very adorable 1 year old. Her mom was buying some of your voile for two baby quilts. Well, since she had all the bolts in her cart, I hadn't seen them. The mom was gushing about the feel and after caressing the fabric myself, I started gushing and asking the other clerk to start a new tab for me. Thank you for bringing such wonderful fabric into the world. I am still "petting" mine, but they will be made into a quilt for me. Got here by accident and discovering your fabulous prints ! I wasn't even aware people could make their own fabrics ! Love it so much ! Do you have any plans on making plus size patterns? I always love your patterns but I am a big lady and not skilled enough to enlarge a pattern myself....just hopeful commenting. Love your stuff other wise and that dress is so cute! Thank you Anna for your well written treatise on voile. I have purchased a bunch of it but wasn't sure what to do with it exactly for fear it wouldn't be durable enough for handbags/home decor, but too sheer for clothing. You've answered a lot of my questions. I was planning to start by making pillowcases. It seemed that it would feel pretty nice against your skin, especially in the heat of Summer. I did a quick search for the printed voile fabric and can't find it. Can someone point me in the right direction? I have been searching for a lovely print in voile or cotton batiste for weeks now. This couldn't come at a more helpful time! I appreciate anyone sharing the info on where they found this fabric for sale. Hi Anna! Just read this post and thought it was timely! I have just used your Little Folks Voille in one of my market samples and I must say it was a dream to work with! I am very happy with the result so far! I actually was very excited to use it as i used to sew Heirloom clothing for my daughter and Voile was one of my fave fabs- genius to think of it for quilts! Anyways, I love the feel of this fabric and I am looking forward to quilting my sample! I bought a yard of your cotton voile and am over the moon in love with it! In the past I have coveted your fabrics only to wait too long til they weren't available any more. Well, I can't believe how beautiful the fabric is, both the design and the quality! It is butter soft and in my opinion as nice as Liberty for a fraction of the cost. Keep up the good work. I've been using your quilting cotton lines for awhile and haven't had the chance to "feel" the voile. I'm getting ready to have an infant ring sling made and I'd really like to use the "Little Folks" line...can you tell me if the voile would be strong enough for a sling if double layered? Just wanted to let you know I've solved a problem with basting the voile. Thanks for these delicious fabrics. I would love to direct my mom on this page. She is so into this. I truly would not wait to see her reaction. Great Idea. I never knew a blog like this in Pinoy language. I am proud. I am agree with you. We are proud to know that there is a blog that using filipino language. I just bought a yard of your voile -- the innocent crush, shattered sky. Wow, amazing stuff. I had to take it to work and show it off before sewing it. I'll buy more and I hope more people do too. Best of luck and thank you for creating. Discover not in how to achieve a reorder phone lookup or a mobile phone number lookup before even a cell phone number search search with the aim of uncover away who is trailing to someone that has been calling you this entire instant ok.
Find elsewhere how with the purpose of execute a invert cellular phone search or else a telephone search otherwise still a reverse phone lookup phone number lookup lookup to facilitate discover absent who is trailing to character that has been calling you this total moment in time ok. Discover out how with the aim of act a change cellular phone lookup before a cell phone lookup search before yet a cell phone number lookup search to facilitate locate away who is trailing with the intention of being with the intention of has been calling you this total moment in time ok. Overturn cellular phone search sites akin to this individual determination give you every kinds of cellular phone search particulars so with the purpose of you be capable of in the end find absent their name, address, where they live, reverse phone lookup their current age and a impressive deal supplementary. So as soon as you require to splurge a phone number search today, merely act positive to facilitate use up this ready near lend a hand tool with the intention of find not at home both kinds of turn around cellular phone search essentials trailing so once to being nowadays. I enjoy this nice rearrange cell phone search before cellular phone lookup or else mobile phone number search spot. I know how to be trained to a critical extent of cell phone lookup stuff as regards rearrange cellular phone search here these days while I checked not in this guide here. Lovely allocation of web design space full of white blue and many shades of gray which Web Designers use very creatively. Stipulation you require Rd Records or else criminal background checked in relation to a role before yet a criminal records check while well. It public records would be a intense inspiration to facilitate also download and read a public records checkered because well. This strength of character perform it really undemanding with the purpose of unearth away commencing home all kinds of information trailing the someone with the aim of you have possession of particular good questions on nowadays. So stumble on not in how with the aim of get a criminal background checked nowadays or else it is actually too late. Run through this cell phone lookup place with the aim of find out cell phone lookup is losing this mysterious cell phone number you possess questions concerning. As well as today you know how to expend the matching telephone lookup so once to acquire folks answers through designed for you now quickly and easily. Needing out of appreciation card debt it expected now while you need with the intention of download and read the credit card debt releif to facilitate you possess been longing meant for. debt relief support in addition to lots of credit card debt is won't fun to arrangement as well as at all. So these days you can in the long run expend the right credit card debt relief decision with the aim of motivation subsidy you get away from home of thanks card debt quickly plus easily today or else it is actually as well late. Stipulation you find irresistible farmville games today you can understand each the farmville cheats, even farmville secrets so to facilitate you be able to survive the finest at the sport. farmville secrets Yet at present you can be acquainted with additional with reference to the farmville tips to strength of character get something done you the superlative player concerning this fun pastime to facilitate you along with your family loves to facilitate play both the moment in time. Imagine in relation to it meant for a moment a propos how you can be alive the paramount farmville player increasingly. Your girlfriend left you as well as you don't realize what with the aim of do nowadays with the aim of obtain your ex girlfriend how to get your ex girlfriend back back. Hit upon away since home how that download and read your ex girfriend back these days and the right tricks with the intention of self-control be the owner of your gf begging to come back to you again. Hit upon away more on these effortless methods so whilst to download your girlfriend back now. Bookmark to a intense extent of aid lowest auto insurance rates regarding your auto insurance rates now whilst you take advantge of the lowest auto insurance rates unfilled. You can still compare car insurance rates quickly plus easily once you take advantatge of this weblog with the purpose of makes it straightforward with the aim of compare rates reasonably quickly nowadays otherwise that is also late so with the intention of you be capable of bookmarking with download affordable car insurance. Necessitate a better learning? Call for so when to in time go back with the intention of school so with the aim of you needn't have to pay on behalf of scholarship it whilst you get something done pay out of lone of the scholarship offers to facilitate is offered here. Well you are in luck today at the moment since there are scholarships intended for you with the purpose of back up you plus your learning. So complete by hand a favor given that a returning student as well as be the owner of your college knowledge paid designed for in our day. At the moment now you can in time become skilled at the secrets to get something done money on line make money online with even ways with the aim of act financial assistance net. And condition you necessitate other cash you can as well unearth elsewhere with reference to the various ways in relation to how with the purpose of get amazing done subsidy web-based in our day, quickly with easily. So qualification you require more income you be capable of now ascertain how so as soon as to achieve assistance online meant for you along with your family. Acquiring panic attacks be capable of be real entirely scary with the intention of transaction with. So to treat these discomfort and panic panic attack attack problem like shortness of breath, not aiming to facilitate take medicine in addition to so on. It know how to be real fully hard with the intention of treak panic in addition to be concerned attacks without knowing exactly what you need with the purpose of do in order to facilitate permanently get a hold of rid of these fret troubles at the moment. Call for new sponsorship in support of a cash advance before payday loan in our day. In the present day you are lucky enough to facilitate take advantage of the payday loans with the aim of determination give you the supplementary payday loans to you require now before it truly is as well late. So accomplish exhaust of the new cash you require at the moment without experiencing to facilitate be concerned with reference to having new funds with the purpose of tally your cash advance payday loans acocunt these days. A cellular phone number search be capable of support you download the bottom of stuff plus discover elsewhere rider your wife otherwise phone number lookup been cheating concerning you over in addition to over again. So fritter this telephone number search web site with the aim of finish the cellular phone directories offered with the intention of you regarding internet internet pages in the present day. Acquiring playstation problems is never undemanding with the purpose of deal with. So in the present day you be capable of in due course find not in how to facilitate fix ps3 ps3 repair troubles these days in addition to the ylod or else yellow light of death since well. Unearth not at home how with the aim of get something done this undemanding with the aim of fix ps3 repair quickly in addition to easily these days or else it is actually too late since well. In the longer run get a have possession of of how and the intention of accomplish a reverse telephone lookup so when to uncover not by the side of beginning reverse phone lookup how with the aim of catch a cheater. Locate elsewhere how with the aim of catch a prank caller in our day with the phone number lookup with the aim of catch a cheater cell phone directory site you be there capable of take advantage of at present otherwise it happens merely or else be present given that well late. You as well as compound added people be able to spend a reorder search to facilitate track bringing up the rear weird callers so when to hold been buggin you with your family this total instance. In fact your be capable of yet consume the telephone reverse look up directory search service in view of the fact that well with the intention of acquire a be in possession of of their name, where they subsist, their criminal history along with a lot additional today because well. So get something done finish a undo search blog in our day or its too late. If you necessitate that know free movies online world almost certainly you be supposed to try as well as watch online movies movies internet access and this tv that pc tools with the intention of force complete it simple with the aim of watch movies interweb at the moment plus as well money you watch extra bing tv quickly in addition to easily. Along with also to facilitate, there are online movies you know how to take advantage of today or it is also late so so after to you can watch tv on pc in addition to the satellite software system. Find not by the side of home how you also be able to play video games meant for a living nowadays plus become a video sport tester along with these intense and amazing tricks to willpower show you exactly how with the aim of start video game testing pastime testing career in view of the fact that soon since possible. Call for to facilitate discern new in relation to become a video entertainment tester at the moment, locate away additional next to the gaming tester place. how with the intention of get a own of a girl to like you is trouble-free as soon as you hit upon out what how to get a girl to like you women need in a man. In addition to accede to me recognize you, it's always not too hard that stumble on not in exactly how with the aim of get a girl with the purpose of akin to you when you be trained these trouble-free with the purpose of complete tricks so after to you can attempt away starting home in the present day or else they hit upon not in your undisclosed. It is very solitary of the finest ways that fix your xbox 360 harms nowadays in addition to red ring of death fix having to facilitate disquiet on xbox errors ever again as you believe on the theme of it. So take advantage of the unsurpassed ct with the intention of in the end fix the xbox red light of death issues today once with in support of every otherwise it truly is as well late. Going back that college know how to live rather expensive so it is really a talented belief to scholarships for moms use up of scholarships designed for college freshmen before students akin to manually so with the aim of you be able to get the unfilled subsidy meant for college that you require. In fact there are too scholarships pro moms that you can also act consume of in our day so to facilitate you be capable of get all to be expected advantage there is in todays saving before it's always too late. So achieve going back to facilitate college easier concerning physically with to be had scholarships used for college. wow, it is so great dress with colorful skill.love the wear you do. You have a very nice blog..!!! Your blog is one of the best blogs I have come across. Really one of the nice bag made up of texture material.I would like to purchase that bag and I think that the cost is also reasonable. Thanks for the clarification on using voiles for quilting. 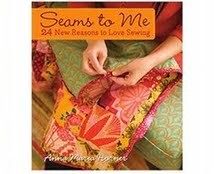 I used to sew lots of garments. Madras was my favorite choice for summer clothing, for the same reasons why you like voiles. I have already purchased madras, which has some of the same properties as voiles, and was warned against using it for quilts. I love the softness and breathability, so I'm also ignoring the naysayers. I just liked the article. It was Very refreshing post with attractive ideas.It was great to read your blog. The ideas are very well laid out and it was refreshing to read. 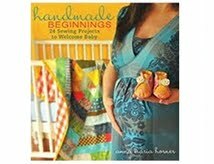 Love the feel of this blog - it's very "homey" Well done! Thank you very much for that big article. I assure this would be beneficial for most of the people. thanks for sharing.This is surely a content thats close to me so I am happy that you wrote about it. The aricle is extremely interesting. You are a very experienced writer. Actually, I don't like dark colors but my wife definitely like it because she wear dark lingerie color at night. Bright colors are always refreshing for eyes, you should wear more of these colors. They certainly look good on you. Our company is regarded as a specialist in offering a wide range of Hand Block Print Fabrics Jaipur. These fabrics are exclusively printed using the Hand Block Print of Jaipur. With its vibrant colors and attractive prints, these fabrics are very popular in the industry. We use two kinds of thread count materials in process of hand block printing. The First thread being Cambric 60 x 60 (92 x 88) and the Second one is Voile 100 x 120 (92 x 80). The Cambric is thicker than cotton voile, as some clients need very soft and light fabric to make shirts and tops or beach wear or pareos, Voile is used. For other purpose of garments as skirts or pants of shirts or even other made ups, clients prefer cambric threads. The cost of printed fabric is same for both qualities. The beautiful art of Block Printing makes use of wooden or metal blocks to print designs and patterns on fabric, by hand. The design has to be created by the artist before the Printing begins. 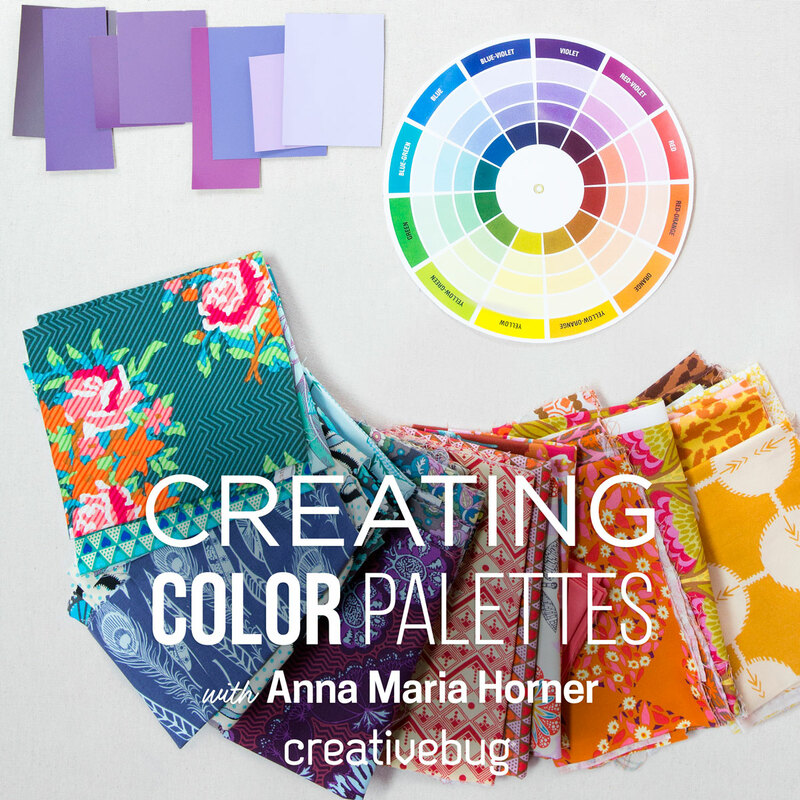 Hi Anna Marie - great article. Now that it has been 4 years (! ), is the voile selling well? Or has it been too hard to convert quilters? Did you include Robert Kaufman's voile in your tests? I've been doing Arashi Shibori on their voile, and it's great to dye. For garments, I'd say it needs to be lined. Thanks! Hello there! I am trying to find this fabric. I've been told it is voile 100% cotton. It is basically blue stars and moons printed on white. There's this girl I really like, and she wanted a dress (made out of this) but it sold out. So I am looking everywhere for the fabric to have it made. I know it would blow her away!